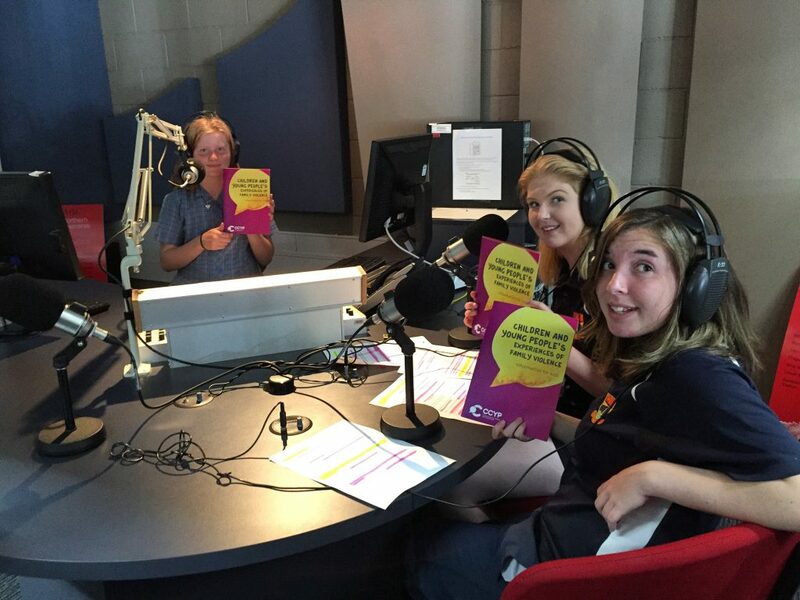 On the 2nd of March Emma, Mini and I went to the ABC radio station in Burnie to help the Tasmanian Children’s Commissioner in Hobart to launch a booklet for young people about the experience of family violence. It felt pretty awesome to be a part of something like this and to be in the ABC radio station in Burnie while we had a live cross and heard the Commissioner’s voice in Hobart.The Radio station looked small outside but when you walk in it it’s really big! The booklet that we were launching is purple with a yellow speech bubble saying “Children and young people’s experience of family violence”. I spoke about how it felt to help with ideas of the book… we thought it was a good idea to put the writing in big, cool fonts and bright fun colours, because some children don’t like reading things with small writing and boring font. It feels really awesome to know that we helped put together something young people can read if they are suffering family violence- the little book has numbers in it for who they can call if they are scared or if they need help. It also has information in it about what family violence is.